Lactose intolerance affects hundreds of millions of people, but there are a number of ways to identify and treat this condition, including use of kefir block cider vinegar , chamomile, ginger and calcium Rich food , among others. Lactose is a type of sugar found in milk , and, unfortunately, there are hundreds of millions of people worldwide whose bodies simply can not process or digest this form of sugar. What many people do not know is that more than 50% of the population has some type of lactose intolerance, but do not show noticeable symptoms. In fact, in some parts of the world, up to 90% of the population has some level of intolerance or “malabsorption” lactose. This condition is caused by the lack of a particular enzyme in the body, lactase, which is necessary for the decomposition and digestion of this sugar. Most people who suffer milder forms of lactose intolerance can control symptoms without eliminating full of milk or milk products from their diet. Experiencing mild indigestion usually makes eating dairy products a little less often. 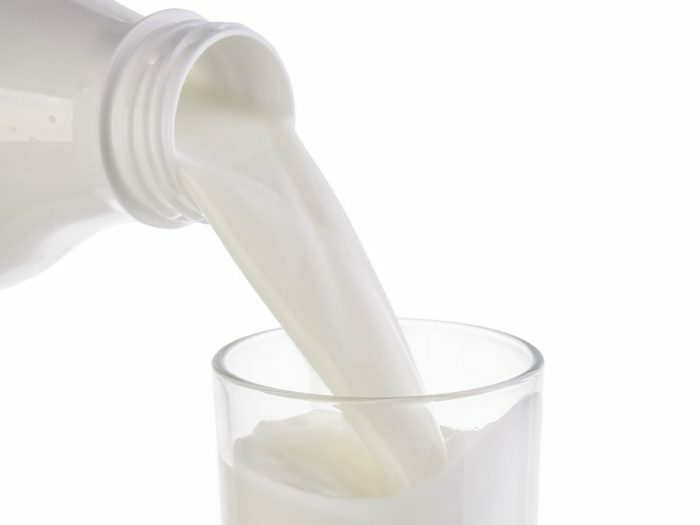 When people with more intense forms of lactose intolerance consume dairy products containing milk, undergo a series of unpleasant gastrointestinal symptoms, including bloating, cramping, constipation diarrhea , nausea, vomiting or upset stomach in general, depending on the severity of intolerance . Most of these symptoms occur between 30 minutes and 2 hours after ingestion of milk or milk products. Lactose intolerance is usually quite obvious, and does not require extensive testing to demonstrate that the condition exists, but there are certain blood or breath that can be performed to confirm if you suffer from the disease. Because dairy products are a primary source of calcium for many people, lactose intolerance can be dangerous because avoid dairy products altogether can result in early onset osteoporosis , low bone mineral density, and bone weakness in general. Fortunately, there are a number of ways around the lactose intolerance, both in terms of alternatives and strategies to strengthen the body’s ability to digest lactose diet. Now, let’s take a closer look at some of the remedies for lactose intolerance. Educate yourself: Many people who know suffering from lactose intolerance are aware of their dairy consumption, but very often they suffer from uncomfortable symptoms they do not know about the hidden sources of lactose in many different foods. Always check the product labels, and do not forget that foods like salad dressings, crepes, sweets, hot dogs , soups and frozen meals often contain lactose can set your stomach rumbling. Related Post: Uzbek Folk Remedy For Treating Gastritis: The Pain Will Disappear In A Flash! Consume lactase Since lactose intolerance is caused by a deficiency of lactase to break down lactose, lactase added to your system can be very useful. You can get dust lactase enzyme and add it to your dairy products (ie, milk) and allowed to digest the sugar before you ingest it, or you can take one tablet of lactase directly before or after consuming one lactose containing foods. Reduce your portions: If you have a lactose intolerance mile, then you can avoid any unpleasant symptoms Monitoring of the parties . Do not eat a whole wheel of cheese and then chug a gallon of milk, but do not be afraid to acclimate the body to small amounts of dairy products, allowing the body to digest sugar into small pieces, instead large portions. Know your body: Everyone has some degree of intolerance to certain foods, so understanding its limitations is the key. Over time, if you pay attention, you know the line to your lactose consumption . Maybe it one chocolate bar, two glasses of milk or a cheese sandwich grilled. Just remember that once you know your body better, you can manipulate your diet wisely to fit within those guidelines. alternative nutrient sources One of the main dangers of lactose intolerance is the inability of the body to get all the nutrients you need, namely calcium and vitamin D . Fortunately, you can alter your diet to put more of these nutrients back to deficiencies prevent . Calcium-rich foods include nuts , seeds, dried fruit beans soybean products and leafy green vegetables. Vitamin D, however, can be acquired through fatty fish, beef liver and egg buds! Ginger: If you simply can not ignore their need for cheese, you can at least counteract the unpleasant side effects. Ginger is a excellent way to settle the stomach, reduce nausea and cramps, and also stimulate digestion more efficient. ginger beer, pickled ginger or ginger extract can all be very effective in maintaining normal stomach feeling, even if you eat a little too much lactose. Manzanilla Tea In a manner similar to ginger, chamomile tea vein has been recommended as a solution to other problems of indigestion for generations and lactose intolerance. You can neutralize stomach acid and inflammation, while also calming the body and mind, helping to reduce the discomfort that occurs if you accidentally (or intentionally) consumes lactose. Kefir: Kefir is an increasingly popular alternative to cow’s milk, and which has no lactose that makes people sick. In fact, it contains live bacterial cultures ( Probiotics ) that can help improve digestive capabilities the stomach and reduce the symptoms of lactose intolerance, essentially making the body better digestion of that particular sugar. milk substitutes: There are many milk substitutes on the market that do not contain lactose, but can still deliver the important nutrients that our body needs milk. From soymilk and almond milk coconut milk and hemp milk, there are plenty of alternative milk, and while they may be a little more expensive , your stomach will thank you. yogurt and hard cheese: yogurt and hard cheeses contain live cultures of bacteria, and much lower levels of lactose. In fact, probiotics in these foods help break lactose, so even if you are lacking severely lactase, the addition of these “dairy” products to your diet can actually improve the body’s ability to digest the sugar annoying. apple cider vinegar Many people who suffer from mild to moderate lactose intolerance are able to mask any of the symptoms adding vinegar cider apple in small amounts to your diet. Apple vinegar can coat the stomach, improving bowel digestive efficiency, and ease any discomfort caused by inflammation or lactose. One last word of warning: While lactose intolerance is not usually dangerous, which can be annoying, and ongoing inflammation in the intestine can weaken the stomach’s ability to defend itself against external pathogens. If you are lactose intolerant, constantly putting your body through nausea, vomiting, diarrhea and pain can be harmful in the long term, in order to make suggestions before heart !